Boy George has been DJing for 25 years and he has played a lot in America but not since what you call the 'EDM (electronic dance music) explosion,' George tells Billboard. "That happened in my absence. It will be really interesting coming back because obviously I don't play that stuff. What I play is really more rooted in the original House music that came from America back in the day." 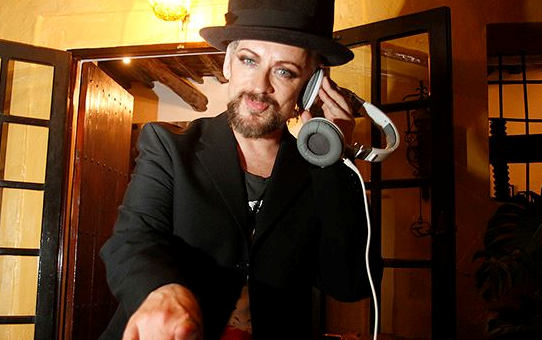 Check out the video below, it's a brief history of DJ Boy George from 1979 to 2013.